As part of the WINGS AVIATION England tour our editors Andy Herzog and Michael E. Fader visited the Museum of the Royal Army at Middle Wallop. This museum doesn’t belong to the top league of aviation museums, as our report will show. Some useful information for visitors: The Museum is located on the A334 at Middle Wallop and is easily accessible by car. There are enough parking lots available and photography is allowed, but without a tripod. Admission will be 8.00 £, which is a bit too much for only a hand full of aircrafts on display. The Museum of the Royal Army (Army Museum of Flight) is located in Middle Wallop (Hampshire) in southern England. Middle Wallop was, until 1957, a Base of the RAF and was then handed over to the Royal Army. Today, Middle Wallop is one of the main bases of the Royal Army Aviation and houses the 2nd and 7th (Training) Regiment AAC. The museum was founded in 1962 and shows the development of the Royal Army from 1957 til present. Especially the conflicts in which the Army fought are documented, such as the wars and conflicts in the context of decolonization, right up to the Falkland War (1982) and the Gulf War. The exhibits on display - especially helicopters and liaison aircrafts - demonstrate the technical development of the past decades. 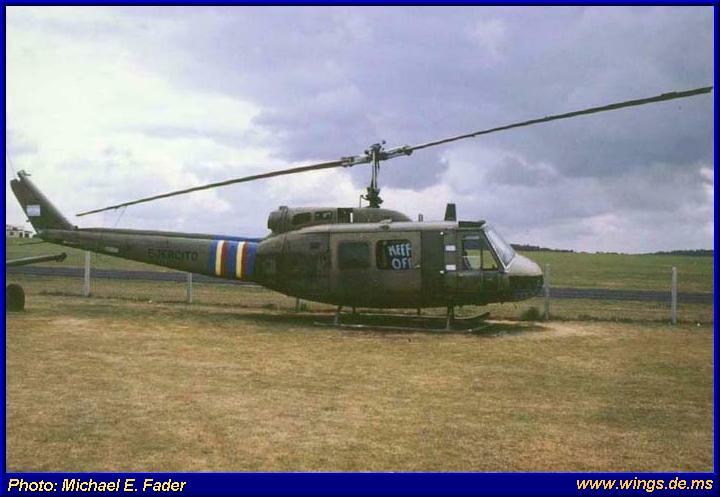 Where early helicopters such as the Bristol Sycamore and Saunders-Roe and the American Bell UH-13S Sioux where not very powerful this changed with the introduction of the turbine technology significantly. The Westland Scout, Gazelle and Lynx are evidence of this technology, of high-capacity helicopters. Two Lynx helicopter are on display, one prototype, and a later version with TOW armament. 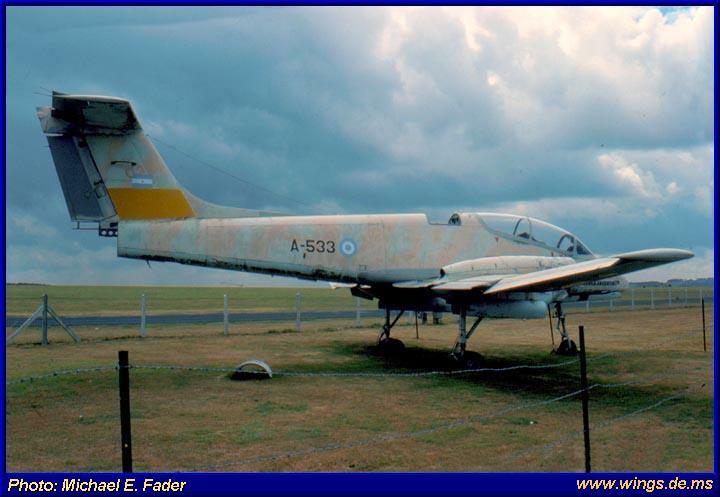 An interesting exhibit is the Bell UH-1H wich was captured by the British Forces on the Falkland Islands. The helicopter served the Army as an ambulance helicopter and was painted white for identification. During an earlier visit of the museum in 1983 they showed another Bell UH-1H, and two FMA Puccara which all were captured by the British Forces in this conflict. Although the Army Aviation crateted on 1. September 1957 by dissolving it from the RAF, a precursor has existed in earlier days. During the Second World War, the gliders like the Airspeed Horsa, General Aircraft Hamilcar and Waco CG-4A where operated by the Army. Replicas and models are testifing that time. The planes are unfortunately very close on display and making it difficult to have a closer look at it, or even take pictures of them. The exhibits are in good condition and been displayed mostly in original paintings and markings. Middle Wallop was first visited by WINGS AVIATION in 1983. 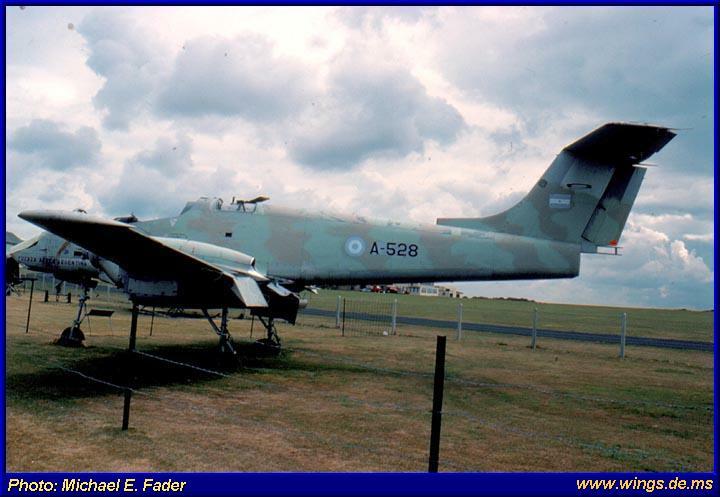 At this time, several, captured Argentinian aircrafts and helicopters on display were witnesses of the Falklands War.